A kit file extension is associated with the 20-20 Design, a CAD designing tool that allows users to create interior designs. A kit file contains kitchen design. The kit file extension is related to 20-20 Design, the leading kitchen and bath planning software in the interior design industry. The kit file contains design (CAD information used to render rooms) created and saved in the program. 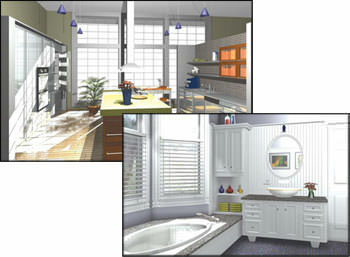 20-20 Design is one of the leading interior design and planning software in the the industry. Use 20-20 Design to work with the *.kit files. Use 20-20 Design to export *.kit files to other formats. Programs supporting the exension kit on the main platforms Windows, Mac, Linux or mobile. Click on the link to get more information about 20-20 Design for open kit file action. Programs supporting the exension kit on the main platforms Windows, Mac, Linux or mobile. Click on the link to get more information about 20-20 Design for edit kit file action. Programs supporting the exension kit on the main platforms Windows, Mac, Linux or mobile. Click on the link to get more information about 20-20 Design for create kit file action.